C’est une sphère infinie, dont le centre est partout et la circonférence nulle part. It is an infinite sphere whose center is everywhere and circumference is nowhere. In my publishing this week, most notable were an op-ed at Press TV , my last to have expressed hope that Scots vote for independence, and my review at h+ Magazine of Julian Assange’s 2014 title, When Google Met WikiLeaks. Currently, I am authoring a highly critical review of the Google book, The New Digital Age (2013) – a book discredited heavily by Assange – also intended to be published at h+ Magazine. 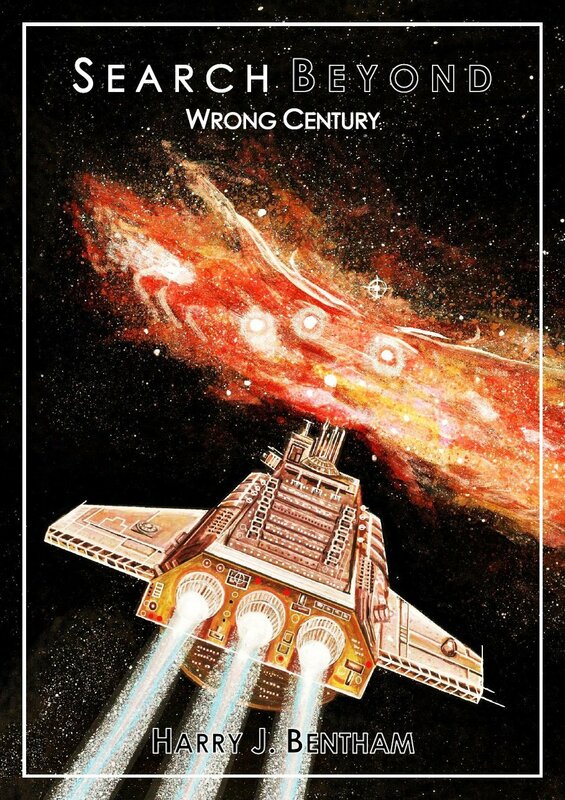 One of my best-received science fiction volumes, Wrong Century, will be made free to download this weekend. It has four stars on Amazon, and I will welcome any further ratings given by customers for it. Search Beyond, the “series” to which this title belongs, is still searching for a fan base, although I am told by my readers that the stories featuring in it are as gripping and as original as any major science fiction franchise. The readers’ opinions I refer to come from popular peer-review platforms like YouWriteon, Wattpad and also the editorial staff of several online publishers that have given me their direct assistance in improving my digital titles. This peer-review process has made Search Beyond stories far better than the many cheap attempts by independent authors to dupe Amazon’s sci-fi consumers into absent-mindedly clicking the download button. The level of effort invested by me into these titles is matched only by the painted artworks created specially for these e-books. Even still, I am not trying to gain great amounts of money from this series, and am happy enough to give it to you for free. I also want to call your attention to one of the most unique features of my largest work of fiction, The Traveller and Pandemonium. That book, representing nearly two years’ work, is the largest work of science-fiction and fantasy I have ever penned, and likely to be the last on that scale. One thing that was most rewarding for me, during my time creating the book, was the creation of fictional extraterrestrial languages to feature in its pages – represented by calligraphy that is included with an accompanying translation at the start of each chapter. Unfortunately, one of the key things my fiction works have been lacking is a willingness of readers to rate the books on Amazon, despite the high volume of downloads. Therefore, I must request that readers remember to star any of the works you have downloaded as soon as you get the opportunity. This goes a long way in making it possible for me to know what sort of work I should focus on, and also stirs me into accepting the high standards expected by avid Amazon Kindle readers.